Robert Neville, a doctor,due to an experimental vaccine, is the only survivor of an apocalyptic war waged with biological weapons. The plague caused by the war has killed everyone else except for a few hundred deformed, nocturnal people calling themselves "The Family". The plague has caused them to become sensitive to light, as well as homicidally psychotic. They believe science and technology to be the cause of the war and their punishment, and Neville, as the last symbol of science, the old world, and a "user of the wheel", must die. Neville, using electricty, machinery, and science attempts to hold them at bay. 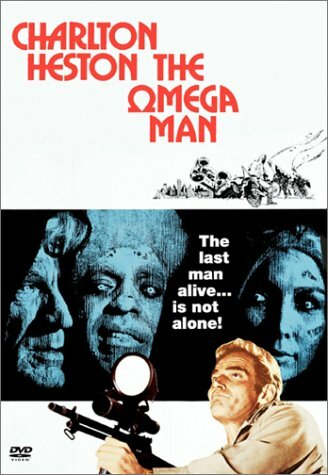 A sci-fi classic starring Charlton Heston as seemingly the last man alive in another post-apocolyptic fright. Although personally I find this slightly dissapointing in parts, its highly recommended even if it is inferior to Solyent Green.